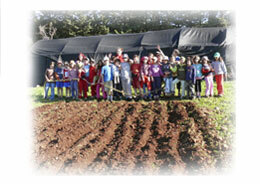 In 2003, parents in the Misgav region of the lower Galilee in Israel sought after an educational alternative for their children and set themselves a goal: to build a Waldorf primary school and children garden. The participants in this undertaking believed that founding such a school would enhance the variety of educational possibilities in the region and attract more families to the Galilee. 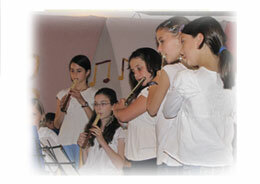 After intense preparations, the Misgav Waldorf School was founded by the "Oded Association” in the fall of 2003 under the Misgav Regional Municipality. 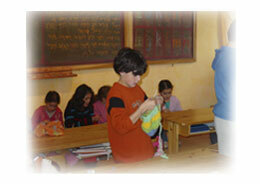 The first class opened in 2003-4 with the help of the Education Ministry and the Misgav Regional Municipality. Today, the school has grown to 8 classes teaching altogether 270 children and will eventually grow to have 10 classes (8 grades and 2 special ed. classes) teaching 350 children in total. Alongside the school, the regional municipality has a few Waldorf kindergartens, one of which is run by the Oded Association. Education, Waldorf Education and the reasons for choosing it Many modern schools have turned their attention from granting knowledge to giving grades, putting aside a child’s sound development as a whole and free person holding moral life principles. This is why parents from the area have chosen the "Anthroposophical” education method – the "Waldorf Education” as a fitting alternative for educating their children. Waldorf Education is based on the teachings of Rudolf Steiner, a philosopher, scientist, educator and artist whose holistic and humanistic ideas penetrate and embrace many aspects of human activity. The basis of this educational approach is rooted in a deep understanding of the essence of childhood as a special and meaningful period. It sees the child as an evolving being, and recognizes his ever-changing needs on the physical, emotional and intellectual-spiritual planes. Waldorf education asks not only "what” to teach but "how” to teach. It strives to create an environment for the child that will enable her/him to develop naturally, in a dynamic and balanced way, so that in adulthood she/he will become a free thinker with a capacity for healthy and moral judgment. The child will grow into an independent, disciplined, creative, dynamic adult, imbued with feelings, leading a meaningful life and contributing to all that surrounds . The holistic approach that characterizes Waldorf education is part of a worldwide view that is practiced in the daily life of the Misgav community which has a heightened sense of environmental awareness. The school puts an emphasis on the role of man as a part of nature in subjects such as: organic agriculture, care of animals, use of natural products, weekly hikes and other outdoor activities. These activities are an integral part of the educational philosophy and are combined with a message of environmental preservation, which is an part of the school curriculum. Art is the best educational tool for this age group. By its nature, art relates to emotion and experience, and helps to form them. 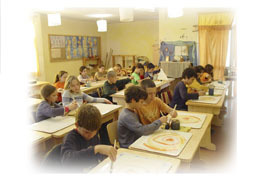 Waldorf education in the primary school is first and foremost, artistic education. Every subject is studied in the most artistic manner, and art classes are not given separately from the theoretical lessons, but are integrated into them. Thus, every class becomes a creative, artistic experience. Every child plays musical instruments, sings, draws, dances, paints and sculpts as a matter of course, and as an integral part of the educational process. Waldorf education is intrinsically humanistic and universal. 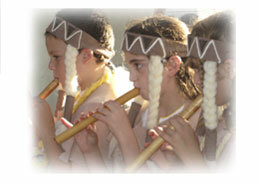 We aim to find the right connection to our Jewish roots as expressed in tradition, celebrations, festivals and ceremonies. This is combined with a universal approach to human values, which forms the foundation of the educational system and shares common principles with the Jewish religion. Waldorf education sees healing-education or special education as a goal. 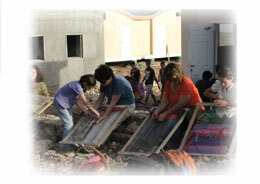 These pupils are integrated into the regular Waldorf classes or in special education classes. Among the founders of the school are educators who work in healing education and strive to create a framework for children with special needs. Children who fulfill the Ministry of Education’s criteria for special education have been enrolled in the school since its foundation.